After the Oscar-winning success of 2014’s Birdman, director Alejandro G. Inarritu nearly duplicated this feat with 2015’s The Revenant. The movie did earn Inarritu his second consecutive Best Director award, an achievement not seen since Joseph Mankiewicz took home that prize twice in a row for 1949’s A Letter to Three Wives and All About Eve. However, like these Mankiewicz flicks, only one of the two Inarritu efforts nabbed Best Picture. While Birdman earned the Academy’s top prize, Revenant lost Best Picture to Spotlight. As an aside, John Ford enjoyed the same feat. He took home consecutive Best Director awards for 1940’s Grapes of Wrath and 1941’s How Green Was My Valley, but only Valley won Best Picture. Though I’m sure Inarritu would’ve liked to direct two straight Best Picture-winners, he shouldn’t feel any shame, of course. As only the third director ever to take home back-to-back Oscars, he finds himself in elite territory, and Inarritu did so with radically different films. While Birdman offered a surreal look at showbiz and an actor’s mental breakdown, Revenant offers a much grittier, more violent affair. Set in Dakota territory circa the 1820s, we follow a party of hunters and trappers. After an ambush by the Arikara Indians slaughters many of these men, the survivors escape via boat. However, guide Hugh Glass (Leonardo DiCaprio) thinks the men should stick to the land, and over the objections of fellow hunter John Fitzgerald (Tom Hardy), leader Captain Andrew Henry (Domhnall Gleeson) agrees to follow that course. As the others sleep, Glass hunts for food and suffers from a severe mauling at the paws of a grizzly bear. Despite Glass’s poor prospects for survival – and again over Fitzgerald’s protestations – Henry insists that the men carry Glass with them. However, Henry eventually realizes the apparent futility of this endeavor, so he offers a major monetary bonus to anyone who stays behind to care for Glass until the guide expires. Along with Glass’s half-Indian son Hawk (Forrest Goodluck) and neophyte Jim Bridger (Will Poulter), Fitzgerald volunteers – and promptly goads Glass to accept death. As Fitzgerald beseeches Glass to let him put him out of his memory, Glass apparently accedes, but Hawk comes across this and intervenes, as he believes Fitzgerald is murdering his father. Hawk dies during the struggle. Fitzgerald hides Hawk’s death from Bridger and convinces the young trapper that they need to immediately flee to avoid more Arikawa. At Fitzgerald’s insistence, they leave Glass for dead – but he survives and pursues Fitzgerald to exact his revenge for the killing of his son. Honestly, that synopsis probably leaves the impression that Revenant boasts a richer, more intricate story than it does. Whatever pleasures the film offers, it doesn’t come with an especially complex narrative. Essentially an action-adventure with dark overtones, the movie comes with moderately thin characters and narrative elements. Which doesn’t bother me, really. Not every movie has to be deep and detailed, and I don’t think we need a great deal of dimensionality to portray the events on display here. Revenant wants to be a harrowing tale of survival and revenge, so it doesn’t need the nuances that less primal efforts would deliver. Given their chronological proximity, it becomes logical to compare Revenant to Birdman, and I think the former offers the superior film. While I took some enjoyment from Birdman, I thought it offered the proverbial triumph of style over substance; it focused so heavily on its own cinematic quirks that it forgot to deliver a particularly compelling story. As noted, Revenant doesn’t boast the most complex plot or characters, but it gives us enough of those elements to satisfy, and it succeeds much more than Birdman as a pure exploration of cinema. Revenant comes to its filmmaking trappings in a more natural manner than Birdman and its exists a stronger visual experience. 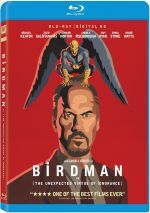 Birdman relied on gimmicks – primarily its attempt to present the tale as one long shot without edits – while Revenant sticks with a visceral feel that suits the material. Indeed, much of Revenant offers a film that makes me wonder how much I’d have to be paid to suffer through its creation. All the actors – but primarily DiCaprio – need to endure miserable shooting conditions to create the film’s realism. I credit their commitment but question their sanity. DiCaprio and the others clearly help give Revenant the verisimilitude it needs, and they add depth to proceedings that could’ve become one-dimensional. DiCaprio earned the Best Actor Oscar, and I won’t quibble with that, but I think Hardy provides the stronger performance, partly because Fitzgerald presents the more interesting character. Let’s face it: Glass doesn’t provide the same room for nuance found in Fitzgerald. Not that I think Glass acts as a flat lead, but as the ostensible “good guy”, he doesn’t show tremendous space to breathe in other ways. On the other hand, Fitzgerald gives us a much more slippery character, one who can be easy to vilify but also occasionally seems open for justification. Make no mistake: Revenant paints Fitzgerald as an unsavory character from the start. He shows no interest in anything other than money, and his references to Indians as “tree niggers” automatically makes him unlikable to modern audiences. Nonetheless, we can understand most of what Fitzgerald does and see the logic in his actions. He still becomes the antagonist and we root for Glass to exact his revenge, but the character doesn’t consistently play out in the simplistic manner one might anticipate. This rarely turns into an easy “good vs. bad” morality tale, and that makes the movie more involving. The stark, brutal investigation of the landscape adds to the proceedings as well. As I alluded, Revenant places its actors in harsh settings, and these give the movie a strong sense of realism. It becomes easier to invest in the circumstances because we believe them; it never feels like we watch green-screen sets. These factors add up to a fairly satisfying adventure tale. The Revenant uses its settings well to deliver a dark, compelling offering. The Revenant appears in an aspect ratio of approximately 2.40:1 on this Blu-ray Disc. Across the board, the image looked terrific. At all times, the movie exhibited strong definition. Nary a lick of softness materialized here, so the film seemed accurate and well-defined. Neither moiré effects nor jaggies appeared, and edge haloes failed to become a factor. Print flaws also remained absent. In terms of palette, Revenant opted for a blue-green feel. I wouldn’t call this “Hollywood Standard Teal”, but it seemed close to that tone. Still, within those parameters, the hues appeared full and dynamic. Blacks seemed deep and firm, while low-light shots displayed nice clarity and smoothness. Everything about the transfer satisfied. Though not quite as memorable, the movie’s DTS-HD MA 7.1 soundtrack also succeeded. With its outdoors locations, various natural elements like rivers or storms and the like added involvement to the mix, and the occasional “action moments” conveyed a good sense of these events. The various channels brought out the material in an engrossing manner that created a fine feeling for place. If forced to cite a standout scene, it’d likely be the battle that occurred early in the movie. Other sequences gave us a nice sense of the environments as well, but with all the mayhem on display, the opening Arikawa attack became the most involving auditory part of the film. Audio quality satisfied. Music was full and rich, while speech appeared natural and distinctive. Effects came across as accurate and dynamic, with good range and punch. I felt happy with the impact of this high-quality soundtrack. Only two extras appear on the Blu-ray. A documentary called A World Unseen runs 44 minutes, four seconds and features director Alejandro G. Inarritu, New Town ND City Coordinator Daryl Lyson, production designer Jack Fisk, wilderness advisor Clay Landry, costume designer Jacqueline West, and actors Leonardo DiCaprio, Forrest Goodluck, Arthur Redcloud and Duane Howard. They discuss Inarritu’s desire to make the movie, locations and shooting in the elements, story/character areas and themes, cast and performances, costumes, and connected topics. That overview makes it sound like “Unseen” offers a standard “making of” program, but that doesn’t become true. Instead, the show mainly offers a discussion of ecology and the environment, one that seems terribly pretentious. A few decent movie-making elements appear, but too much of “Unseen” comes across as preachy propaganda. We also get a Gallery. This offers 70 photos that mix shots from the film and images from the set. It becomes a moderately interesting compilation. 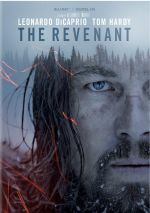 With its harsh settings and brutal violence, The Revenant delivers a powerful tale of survival and revenge. It lacks great character or plot nuance but it compensates with its primal sensibility. The Blu-ray provides excellent visuals and solid audio but lacks substantial supplements. The absence of ample bonus materials disappoints, but the disc brings us a very good representation of an impressive film.